The Opposition has expressed grave concern over the failure by the government to release the promised K12 million for the University of Papua New Guinea. Opposition Leader, Don Pomb Polye took Prime Minister, Peter O’Neill and his government to task over continues empty promises. 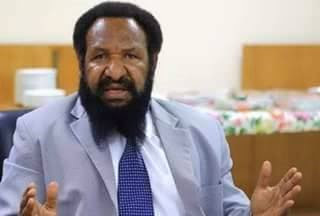 Mr Polye is frustrated that students attending UPNG will have to foot the cost of the revised 2016 academic year because the government has not released the promised K12 million kina. “The Prime Minister promised that K12 million will be released before the close of the government accounts but this has turned out to be another lip-service and a lie from the CEOof this nation,” said Mr Polye. Mr Polye said “its unfair that students are made to pay for the revised 2016 academic year”. He questioned the government’s priority further wanting to know if the government policies are aimed at providing affordable education and health services or to inject millions of kina into infrastructure in Port Moresby alone where only a few minority and handful of companies owned by politicians and their cronies will benefit. Mr Polye also called on the UPNG administration not to turn away or deny students their right to education. “If the students are forced to foot the cost of the revised 2016 academic year, I urge the UPNG administration not be harsh on the students but allow them to pay on installments over a period of time,” said Mr Polye. He said lack of funds experienced in all PNG institutions are all culmination of the mismanagement of the economy by the government. Mr Polle warned the country to prepare for turbulent times this year. He warns that effects of government’s numerous borrowings and reckless spending in 2016 will be felt in 2017 budget cuts. Mr Polye warns that Prime Minister Peter O’Neill and his government will again pass the buck down to the consumers, especially the little people who he says will suffer the most. “Kina is not strong anymore, taking a downward trend and the buying power is fast diminishing,” warned Mr Polye. Mr Polye said most of the departments will have budget cuts and this will have serious consequences on their operations. Mr Polye says oureconomy has been hard-hit by the combination of global economic variables coupled with massive borrowings and government’s inability to effectively manage the country’s economy. “Massive borrowings and unbudgeted expenditure seen this year will eat into 2017 budget and the effects will be passed down to the people,” said Mr Polye. “I have warned the government on numerous occasion not to go on a borrowing spree as this will have an adverse effect on PNG economy. “The government failed to take heed of the warnings and now you have institutions like UPNG pushing the costs down to the students,” said Mr Polye. The Opposition called on the government not to cut funding for important sectors such as Health and Education. He warns that school aged children will not be in classrooms and mothers in rural areas will face difficulties giving birth if the cash flow situation continues.